Jainism is an ancient religion and though it is an Indic religion, not many people are aware about Jain rituals and festivals. 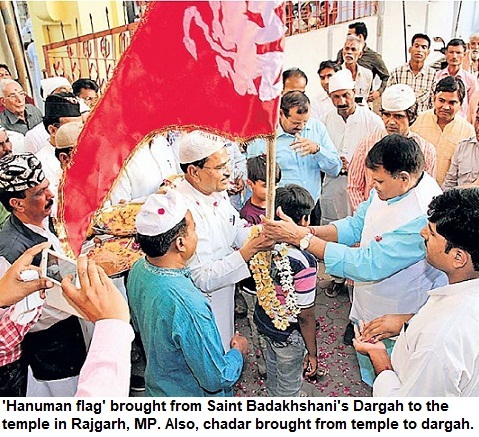 One of the reasons is that Jains are a small minority, which is scattered across the country. In areas where Jains form a substantial population, the festivals and rituals are celebrated at a large scale. These include Gujarat, Rajasthan, Malwa and Bundelkhand regions of Madhya Pradesh, Karnataka and some parts of Maharashtra. 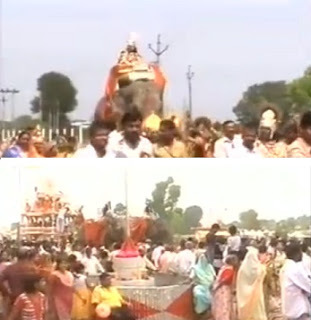 The Bundelkhand region of UP also has sizable Jain concentration, especially, Lalitpur, Jhansi and nearby small towns. The 'Panch-kalyanak' parva is organised when a new Jinalaya [Jain place of worship, commonly termed Jain temple] is built or when the new idols are consecrated in an existing temple. Thousands come from far and wide to attend the event. The rituals are quite fascinating and long. Also, the immense wealth of the community is also on display during these programmes. 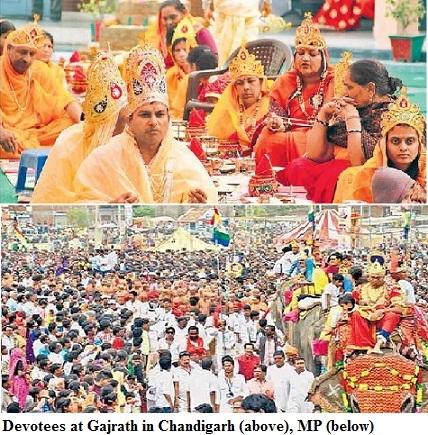 People spend huge money to become 'Indra' and 'Indrani' [to enact lives of Tirathankaras as per Jain mythology, texts]. In MP, the Panchkalyanak is always associated with Gajrath--chariots pulled by elephants. 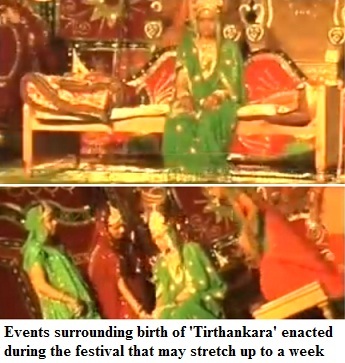 Also, there are such festivals like 'Janm-Kalyanak' to commemorate the births of Tirthankars. Jains believe that there are 24 Tirthankaras, the first being Adinath and the last being Vardhaman Mahavir. In these 'parva', the birth and other events of the life of the Tirthankara, are enacted by the devotees. There are songs and dance apart from religious rites. The monks [Jain munis] deliver lectures and discourses too. Jainism is as ancient a religion as Buddhism because Lord Mahavir was a near-contemporary of Lord Buddha. There were three great teachers of the era--Siddhartha Gautam [Buddha], Mahavira and Makkali Gosala. Gosala's religion, Ajivika, died nearly 600 years ago. As far as Buddhism and Jainism are concerned, Jains insist that the religion is much older. The Jains say that their last Tirthankar, Mahavir, was Buddha's contemporary. And, the earlier Tirthankars lived thousands of years ago. In fact, the Jain texts suggest that India got its name, Bharat, from the first Jain Tirthankar Rishabhdev's son. Rishabh is also called Adinath. Jainism didn't spread much outside India. After Adi Sankara led revival of Hinduism, both Jainism and Buddhism retreated. While Buddhism disappeared and gained some ground in 20th century, Jainism survived. It wasn't much visible but remain alive in certain regions as an esoteric religion, making itself more compatible and as part of Hinduism. The Gajrath rituals are elaborate and interesting. If you haven't seen them, you have missed a part of unique Indian culture.